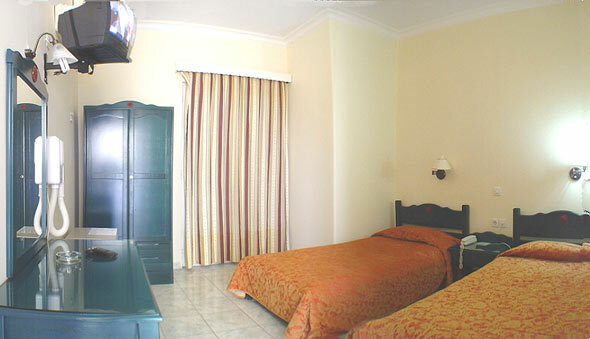 Hotel Carolina has totally been renovated in December 2004 and is more than a comfortable hotel in its category. Furthermore, Hotel Carolina is a classical building, which has been operating as a hotel since 1934 and it is more than a C-Class hotel. We are located in a very safe area (on the border of Plaka and Monastiraki, an ideal location for your shopping or sightseeing. 15minutes walk away from the Acropolis, the National Gardens, the Parliament House, and the most important sites. 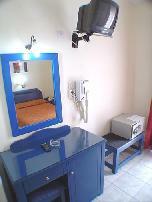 Our hotel is located in the centre of Athens so it gives you the best opportunity to use public transportation. Taxis are available at any time and can be found everywhere in the city. The blue metro line can be taken from the airport in order to reach Monastiraki station (duration 34 minutes approximately), which is 5 minutes walking away from our hotel. Furthermore, bus E95 can be taken from the airport to Syntagma square (The Parliament square), which takes around 45 minutes. Syntagma square is 10 minutes approximately walking away from the hotel. The green subway line can be taken from Monastiraki station in order to reach Piraeus (duration 20 minutes approximately). Moreover, from Syntagma square you can take the red metro line to reach Larissis Railway Station, which offers you the opportunity to travel around Greece. Terminal A and Terminal B stations can be reached by Public Transportation from Panepistimiou Avenue, near the Athenian University, Library and Academy. Είστε ιδιοκτήτης ή διευθυντής στο CAROLINA HOTEL; Εγγραφείτε τώρα για δωρεάν εργαλεία, που μπορείτε να χρησιμοποιήσετε για να βελτιώσετε την καταχώρησή σας και να συνδέσετε την ιστοσελίδα σας και το σύστημα κρατήσεών σας.